Philly's food scene is dressing up for Feastival. 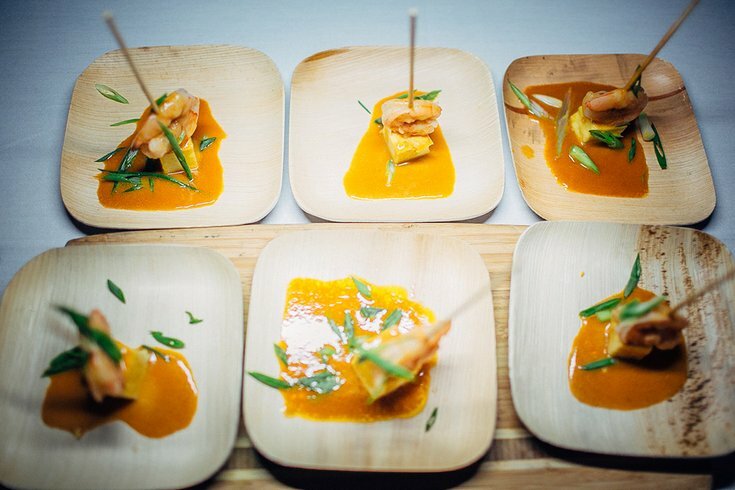 The 2015 Audi Feastival, a night where Philly's top chefs come together for food and fun, is right around the corner. Over 60 local restaurants and bars will head to FringeArts Thursday, September 17 with their best dishes and drinks for every foodie's dream come true. Stephen Starr, Michael Solomonov and Audrey Claire Taichman will host the big event, which features the likes of Dizengoff, 10 Arts Bistro, La Calaca Feliz, Morimoto, Laurel, Sbraga, Tria, Vernick and dozens more. Essentially, any restaurant you've ever wanted to try will be represented in one place. Since the shindig is a benefit for FringeArts, the night will include quirky live entertainment and a swanky silent auction featuring the chance to host Philly's top chefs in your home. Many of the city's movers and shakers will be on hand,too. Of course, all that fun comes with a price and tickets start at $300. But if you buy your ticket before Monday, August 17 you can save 25 percent on the price by using the discount code EARLYBIRD.